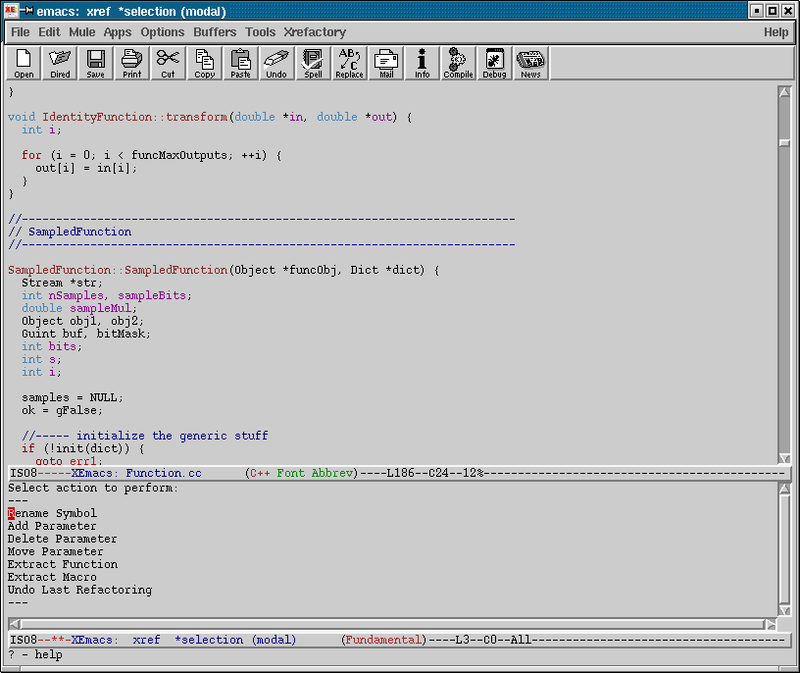 Xrefactory for Emacs and XEmacs. A screen with completions. 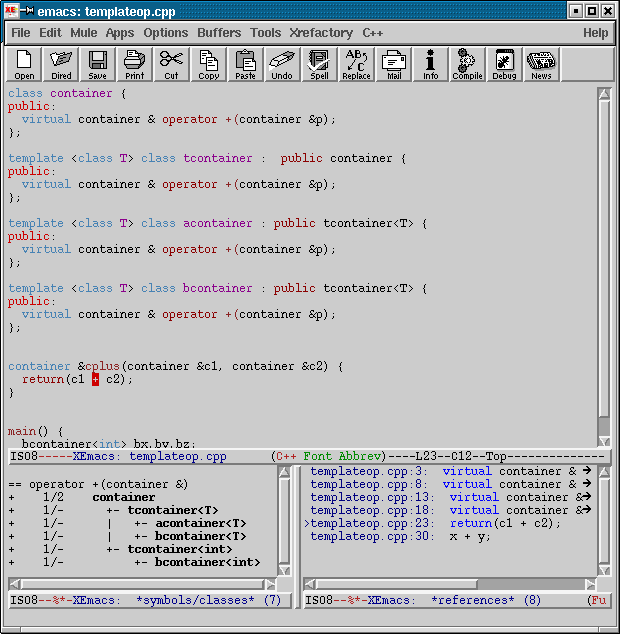 The top area contains the main window with source code. 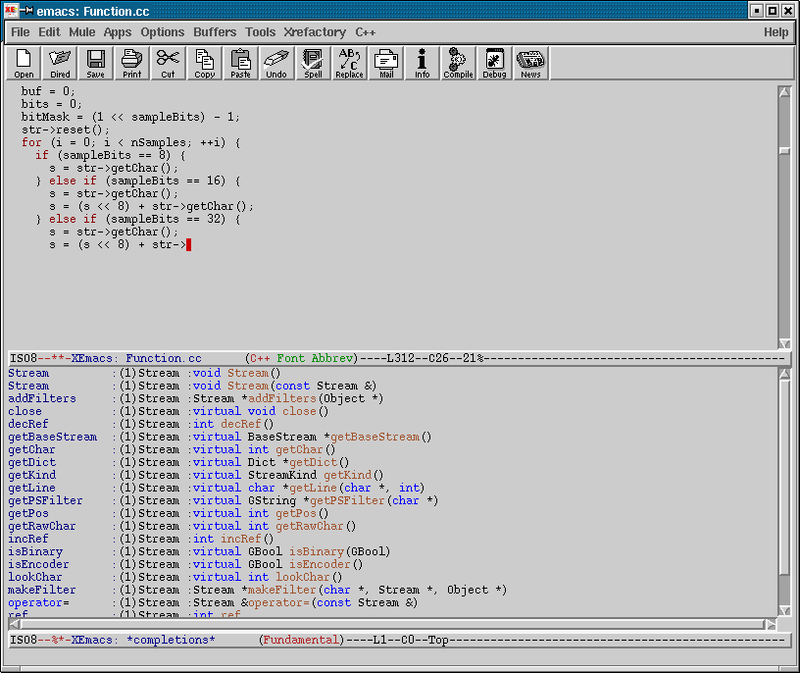 The bottom area contains the list of proposed completions for the given context. 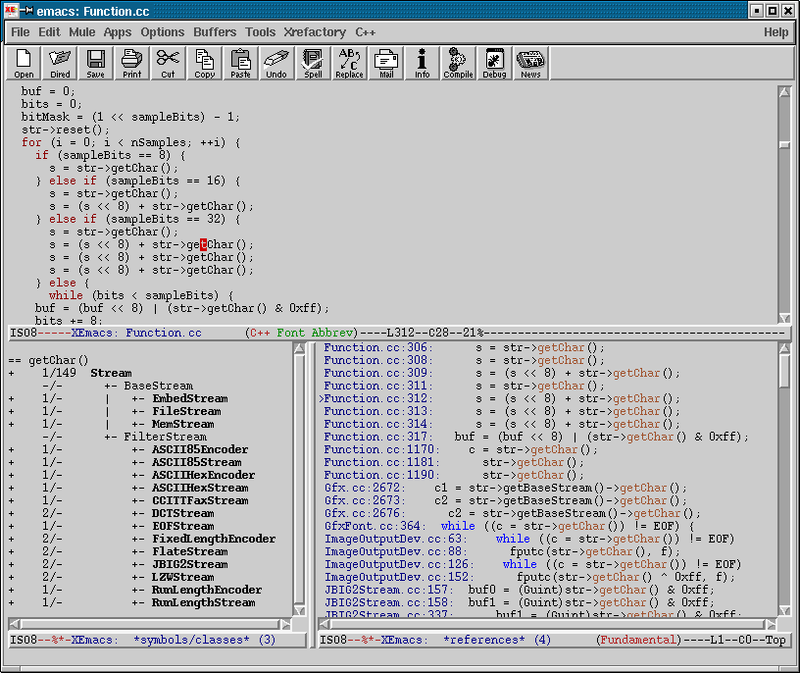 A screen with code browser. 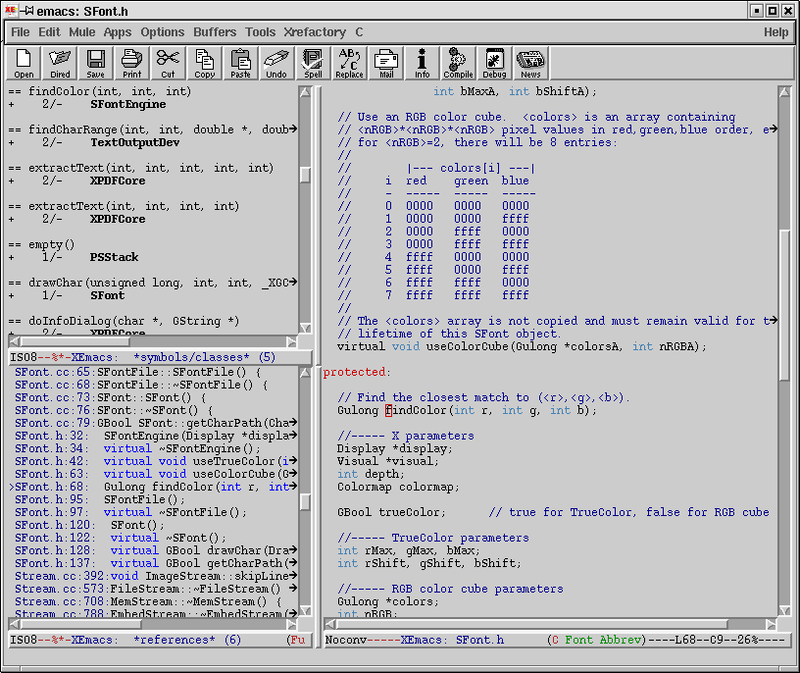 The top area contains the main window with source code. The bottom part contains source browser. In the left window there is an information about the symbol being browsed together with relevant inheritance subtree for virtual methods. The right window contains the list of references of the given symbol. No problem with browsing templates, operators or virtual methods. Browser can display unused symbols in order to detect dead code. Refactoring proposes the list of refactorings available in current context. Just select one of them to perform it.